Join Adams on an excursion to climb Kilimanjaro . . . dressed in a rhino costume; peek into the private life of Genghis Khan—warrior and world-class neurotic; root for the harried author’s efforts to get a Hitchhiker movie off the ground in Hollywood; thrill to the further exploits of private eye Dirk Gently and two-headed alien Zaphod Beeblebrox. 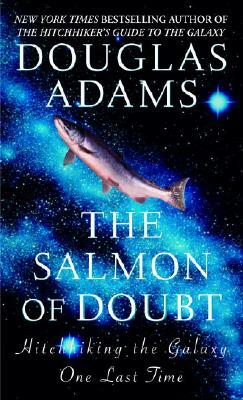 Though Douglas Adams is gone, he’s left us something very special to remember him by. Without a doubt. Douglas Adams was the author of the five novels in The Hitchhiker’s Guide to the Galaxy trilogy (yes, you read that right! ); two Dirk Gently novels; Last Chance to See (with Mark Carwardine); and The Meaning of Liff and The Deeper Meaning of Liff (both with John Lloyd).